Serving the electromechanical, electromagnetic, and electronic industries since 1946. Our multiple U.S. manufacturing locations are equipped with state of art automated and semi-automated equipment. We are geared to produce high volume, medium volume and short run production in the most economical and efficient manner. 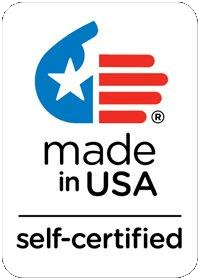 As a 100% Made in USA manufacturer, we take pride in providing our customers, products with unequalled quality, rapid and on time production coupled with manufacturing flexibility. We pride ourselves on quality and produce some of the best electric coils that the industry has to offer. Sag Harbor Industries’ engineers work hard in understanding the applications of our clients in order to better ensure that the products we make go above and beyond their expectations whether it be an inductor, electric coil or solenoid coil, you can rest assured that the products you get from Sag Harbor Industries (SHI) meet and exceed your expectations. As one of the premier coil winding manufacturers, Sag Harbor Industries offers some of the best electric coils in the industry. The engineers here at SHI are experts in magnetic coils, relays, coils and computer aided design which means that our encapsulated coils surpass those of our competitors. The field coils offered at Sag Harbor Industries are custom fit, have precision winding and are coupled with reliable performance as with all SHI products. Due to our expansive line of manufacturing techniques we are able to provide molded coils through the use of injection and transfer molding techniques along with other options. Here at SHI we welcome a challenge, we offer premium self-supported coils which provide solutions to uncommon, irregular or bobbin-less custom applications. We provide industry leading solenoid coils and our custom wound solenoid coil capabilities are as reliable as they are flexible. Our varnished coils can be manufactured in a variety of ways from being dipped, brushed, sprayed or even vacuum impregnated. No matter your application, your specific need, here at Sag Harbor you can rely on us to understand to the needs and requirements of your application in order to determine what solution is best for you. From air coils, to top of the line inductors, you can be sure you are getting only the best. Contact us today for more information about our services and how they benefit and add value to your application. With over 65 years in the industry, our experience is nearly unmatched and our time spent providing solutions to a variety of industries and applications will prove useful which designing and manufacturing a custom made solution for you. Waste no time, reach out today and experience the Sag Harbor advantage!